A campaign group has got its point across to demand a fresh scrutiny on plans to replace one of MK’s most iconic structures with a “garish retail shed”. Outline planning permission was granted four years ago for The Point at CMK to be demolished and replaced with a retail and leisure development. But the final design plan has only just been submitted by owners Hammerson’s – and it was immediately slammed by city campaign group Xplain. Now MK Council’s development control councillors voted not to give their final approval until members of the public have been given a chance to have their say. A fresh public workshop will be held on June 6 for Hammerson’s plans to be scrutinised. At the council meeting, Xplain chairman Linda Inoki claimed the company worked “in total isolation from the community” to produce their own design code to deliver a “garish retail shed”. She said previous consultation workshops had been un-advertised, poorly attended and one-sided. Councillor Paul Williams (Labour) said he was not invited to the workshops despite being a CMK ward councillor. Hammerson’s say they have fulfilled requirements for The Point site to produce a very high quality design in conjunction with local citizens. 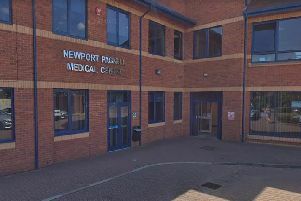 The company’s architect said they had produced the design code with council officers and believed that it would “produce a quality, landmark building”.